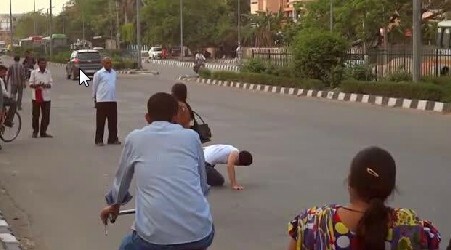 An Indian Actor Pretended that he was dying on Street. Shouting for Help. This a experimental video to check if there is still Humanity in India. But unfortunately, Nobody helped the dying person. They Just looked at him and no cars or vehicles that stopped to bring him to nearest hospital. So What do you Think, Is there Humanity in India or These happens worldwide. ?